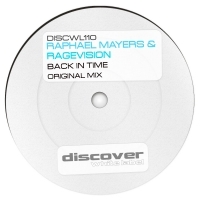 Next up on White Label is a cool collab between Raphael Mayers and RageVision. Back in Time has plenty of retro coolness about it coupled with bang up to date production and a hypnotic topline. The breakdown is cooly anthemic and the snare rolls bring home the payload with epic dexterity. 'Back in Time' is available now from Beatport and iTunes.